The College's Alworth Center for Peace and Justice 2016-17 Lecture Series begins on Sept. 27 with an examination of poverty in the United States. The theme for this year's lecture series is "Voices of America." The Voice of America (VOA) is the official external broadcast institution of the United States federal government, providing radio and TV in English and a number of other languages. The VOA Charter says that the picture it paints of America is "accurate, objective and comprehensive." However, some scholars and commentators believe that this picture is not always accurate or truly representative of the diversity of voices that make up this country. The 2016-17 Alworth lecture series allows for some of these other voices to be heard. 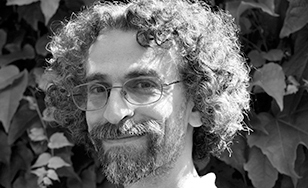 The first lecture, titled "Confronting Poverty in America" with freelance journalist Sasha Abramsky, is at 7:30 p.m. Tuesday, Sept. 27 in the Mitchell Auditorium. It's free and open to the public. Abramsky, author of "The American Way of Poverty," will delve into what makes the American version of poverty unique. Abramsky's work has appeared in The Nation, The Atlantic Monthly, New York magazine and a number of other publications. He has a master's degree from Columbia University School of Journalism and teaches writing at U.C. Davis in California. He's also a senior fellow at the New York City-based Demos think tank. His books include "Inside Obama's Brain" and "Breadline USA." Tuesday, Nov. 15: Growing Up Black in Urban America with James Forman, Jr. The Alworth Center for the Study of Peace and Justice seeks to bridge social and political barriers to bring together people of all ages and philosophies to work toward the common goals of peace and justice.